That's right folks, this is not a science post. After 45 posts about information, quanta, intelligence, and what not, a how-to guide? Well I only have one blog, and I didn't know where to put this stuff, that I think could be helpful to others, because I've done this several times and I learned a bunch. 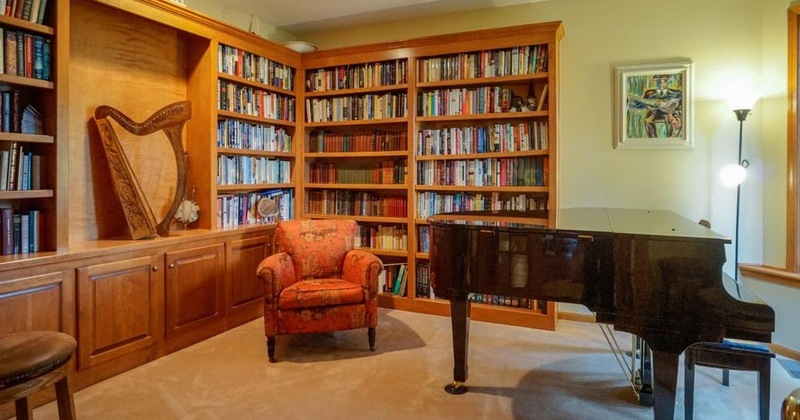 So now you get to read about how to move your library of precious books from one house to another. I like your method and did much the same myself this past September. The smallest “book box” one can find is certainly the key. One thing you’re missing, at least in several of the photographs, that would help for both general shelf wear as well as for packing/moving is to have all of your dust jackets covered with book jacket covers. This will help protect your dust jackets from wear and tear and help increase their long term value, particularly for rarer first editions. I notice that some of your collection likely already has these, à la the Heinlein, though it’s obvious in that case that a book seller likely jacketed it far too late to protect the pristine original. At least it’s protected from further future wear. If you think it’s worth the time and protection, it may be a worthwhile thing to do when you’re unpacking and reshelving them on the other end. Brodart is one of the larger sellers of dust jacket covers and they make a huge variety of shapes, sizes, and types. I’ve found that their Advantage I covers are pretty solid and versatile for most of the book sizes you’ve got. Though fair warning: you can go down the rabbit hole and lose a few hours researching dust cover materials and archival types. In the end you want to look for something that covers the jacket, but doesn’t stick to it. This will allow you to replace the jacket cover with a new one if necessary without causing damage to the dust jacket itself.